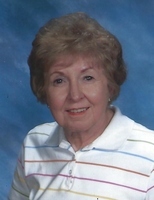 Provide comfort for the family of Phyllis Prindle with a meaningful gesture of sympathy. Phyllis Prindle passed away peacefully in her sleep January 9, after a short decline in her health. years later her mother married Elwood Naugle, and in 1934, the family moved to Billings. Phyllis attended school in a rural school house near Ann Arbor until she was in the fourth grade. Jefferson Middle School and Billings Senior High School, graduating in 1942.
woman. AI couldn't forget about Phyllis, and one day wentto talk to her to tell her how he felt. room. They were married over 42 wonderful years until AI died in 1987.
visited the Black Forest region of Germany where her mother's family had lived. and quilting. She also enjoyed playing bingo. the incredibly amazing care givers at The Springs at Grand Park. at Rosebud Cemetery in Absarokee. Condolences may be shared online at www.smithfuneralchapels.com. To plant a memorial tree in honor of Phyllis Mae Prindle (Ernst), please visit our Heartfelt Sympathies Store.